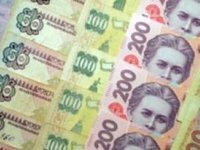 Ukraine's State Financial Monitoring Service (Derzhfinmonitoring) from March 2014 through December 2016 blocked UAH 28.54 million in assets belonging to officials of the self-proclaimed Donetsk and Luhansk People's Republics (DNR, LNR), according to the Ukrainian government's website. "Derzhfinmonitoring continually identifies newly appointed officials of the so-called DNR and LNR and has established their accounts in banking institutions in Ukraine. Over the abovementioned period the equivalent of UAH 28.54 million has been discovered and blocked," the government said. According to the post, Derzhfinmonitoring in 2016 prepared 591 reports (269 existing, 322 updated), which were sent to Ukraine's Prosecutor General's Office (34 existing, 139 updated), the National Police of Ukraine (66 existing, 44 updated), Ukraine's State Fiscal Service (83, 46), SBU State Security Service (61,50), and the National Anti-Corruption Bureau of Ukraine (25, 46). Derzhfinmonitoring says a total UAH 45.8 million possibly connected to the legalization of assets and other crimes pursuant to Ukraine's Criminal Code was identified in the documentation of financial operations. Derzhfinmonitoring continues investigating facts of money laundering, receiving funds under corrupt schemes, theft and embezzlement of government funds and property of ex-President Viktor Yanukovych, his associates, former government officials and their associates, as well as individuals involved in the premeditated mass murder of people in Ukraine. The office said 547 reports of financial operations conducted by former high-ranking officials during the period under investigation (March 2014 through December 2016) were prepared. The amount of financial operations possibly connected to the legalization of income or other crimes according to the cases amounts to UAH 201.7 billion. "Derzhfinmonitoring during the course of its investigation blocked personal and corporate accounts with connections with Yanukovych and former government officials for $1.54 billion," the agency said. In addition, work is underway to find and freeze assets of former high-ranking officials abroad. According to Derzhfinmonitoring, citing information of foreign financial government watchdogs, blocked assets of former Yanukovych officials and their associates totals $107.19 million, EUR 15.87 million, and CHF 135.01 million in Austria, the UK, Latvia, Cyprus, Italy, Lichtenstein, Switzerland and the Netherlands.